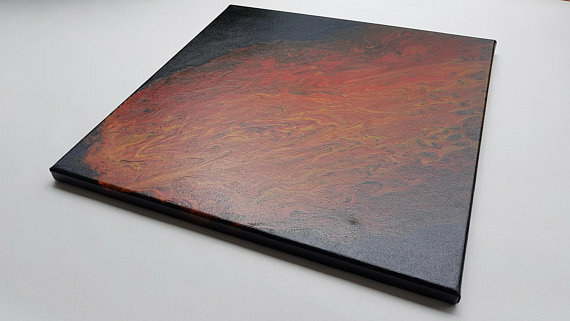 Aiming for the earth or blasting off into space, which way will you hang this? 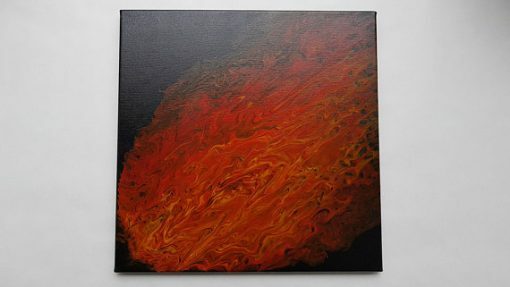 This flaming fireball in space painting will warm any space. 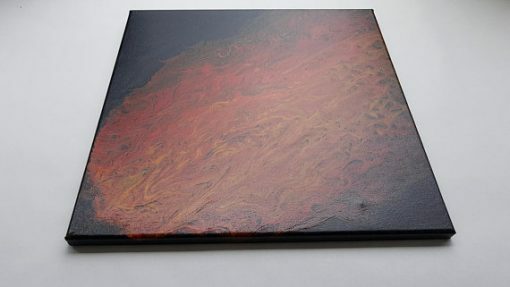 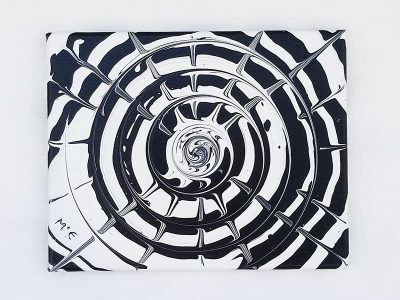 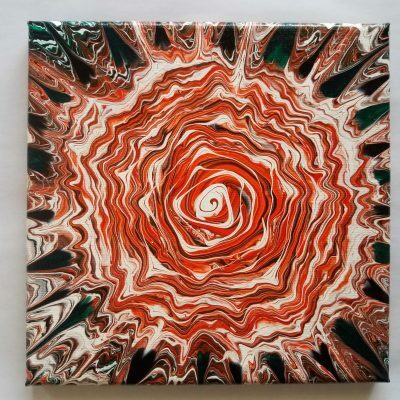 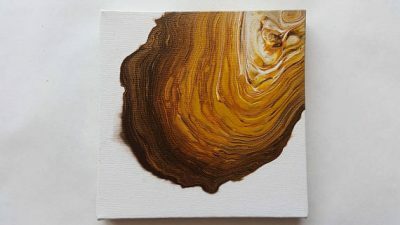 This acrylic pour painting is poured on 50 cm square canvas has the sides painted so you can display how ever you desire.